Whitianga is the place in the heart of Mercury bay, with the 5 km long beach .Today, it is the town with 4000 citizens and more than 1000 tourists a day. Whitianga past is interesting all along. It has been occupied for a thousand years, from the time when Maori explorer came and made the settlement of his tribe .The real name of Whitianga is Whitianga a Kupe, in the name of explorer what literally means Kupes crossing place. If you love horse-riding or only love animals and nature you will love this one. It's the Whitianga you can go on a horse-riding trip. The nature of the Mercury Bay is rich with colors and full with pioneering history. You got the guide who will take you through the secrets of native culture and across open pastures. During that entire trip, you will have breathtaking views. It is organized by a group of 30 people and 30 well trained horses to make your experience unforgettable. Everyone can ride because there are all sizes of horses - from ponies to big and strong horses. With horses you can even step into the river and they will swim with you! The price isn’t so high - about 10 dollars for 2 hour experience. If you came with children or just adore animals, visit Animal Park. Park has 8 shady, natural surroundings. 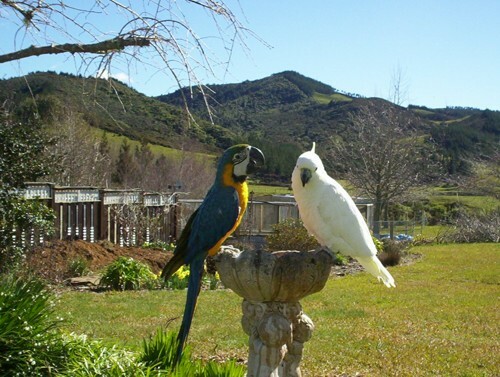 Get closer to the more than 100 domestic, farmyard or exotic birds, all types of reptiles and others in the nice, clean and child-safe environment. Become friendly with rare breed ducks, Bearded Dragons, Blue Tongue Lizards, Turtles and Eastern Water Dragons. It is fun for visitors from 1 to 100 years! For totally relaxing vacation, you must try hot pools. 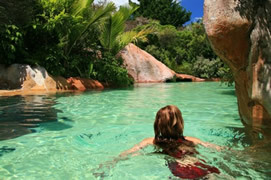 There are thermal pools made in the natural environment. Lie down and hear the birds and look at the waterfalls .Put your head under the waterfall and its relaxing hot water! After swimming, you can have a massage with hot volcanic rocks or drink a refreshing cocktail when the sun is glistening off wet leaves. Whitianga is the perfect place for snorkelling or diving - you can see a lot of things under the water! You can get close to the crayfish; huge snapper and friendly colourful fish. There are specialized boats for diving that transport you to the perfect spots, not so far from the coast, that will take your breath away! It is organized into a few small groups and all types of people can do it - from beginners to diver masters! All the snorkeling gear will be got on the boat; you can rent everything from bikes, boogie boards, fishing rods, with SCUBA gear, air fills and bait. Some boats have glass bottom so you can see the underwater creatures during sailing! 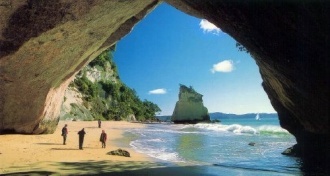 See the dolphins and penguins or enjoy in a view of sea caves, famous Cathedral Cove. For the active visitors, there are a lot of outdoor activities. For example, you can go sailing! 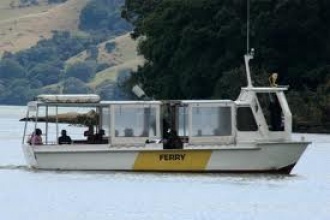 Take the boat with or without captain for a day and cruise the Mercury Bay. Be the captain for a day! During sailing you can see dolphins, blue penguins and gulls or swim in a deep, blue water. If you have more time, have extended trip and visit Great Barrier Island White Island, New Zealand’s most active volcano. 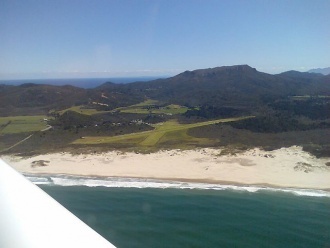 Because of all this, and the position the Whitianga have, this is the place where you can spend your vacation and do many extraordinary things. These are five things that will make your day better.